Connecting with the immense depth of expertise, experience and insight within the network is one of the key benefits individuals and organisations receive via One Nucleus membership. Increasing the Member-to-Member accessibility across our membership is an important stream of One Nucleus development as we seek to maximise the benefits to our members. Advice that helps set an effective and informed decision-making process in play can often be the difference between success and failure when undertaking the next steps. Rather than establishing bespoke Advisory Boards which creates a formality many see as a barrier to accessibility or a fully-fledged mentoring programme that can be resource intensive for those involved, One Nucleus is establishing a select group of ‘Mentors’, to whom we can direct appropriate inward enquiries from those seeking a steer in the right direction as they build their plans in business creation, growth and product development. 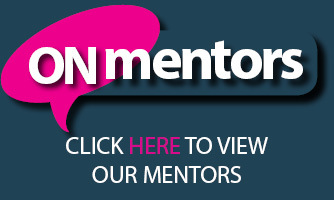 Our panel of Mentors cover experience across all aspects of our sector, whether commercial, technical to operational. Some will be open to developing an on-going relationship where there is a mutual interest and perceived benefit and that will be a decision solely for the Enquirer and Mentor.